The title of my talk was inspired by the news that last December Mark Zuckerberg has converted a 1950s toaster into a smart toaster which he can now get started by talking to Siri on his phone. The news struck me as very smart and also incredibly dumb. Is this what the internet of things has taken us to? My PPTs usually don’t have notes, but on this one I’ve added the commentary which, on the day I more or less improvised, but the net result won a People’s Choice award which was very encouraging. There’s a pile of younger researchers snapping at my heels. The central argument I wanted to get over is that we’re not simply suffering from data overload, we’re exposed to attack – not only from malicious hackers, (think Equifax) but also normal errors and…this is the challenge: smart algorithms that may get things 95% right but at the same time get things wrong for 5% of the time. There will be victims – and these may be small incidents (lost luggage moment) but also bigger and more systemic dramas. Algorithms and models are, after all, assumptions wrapped up in maths. As we move into a world of smart AI analytics there are going to be whole blocs of people, already disadvantaged, who will be increasingly disadvantaged as smart algorithms become self fulfilling. One example is the notorious US-based data-driven Stop & Frisk policing policy that targets young black males in crime hotspots. Keep picking on just this group and pretty soon they will dominate the crime statistics – mostly through sampling bias. If AI and the use of big data are programmed to be mostly right, what forms of redress will there be for people who are wronged by these same algorithms? How much error is acceptable? We need to be thinking about that. You are your own brand! Well, sadly, that’s what motivational experts are telling us. People who know me will know that I feel some disdain for the concept of personal branding. “You are your own brand!” state dozens of personal branding experts, and in so doing they ignore both the inadequacies of branding to convey the rich complex story of who you really are, and they ignore the ugly human history in which slaves were literally branded. The shallowness, the sheer glibness of the “you are a brand” thinking is revealed all over the place. Sports people after turning in a losing performance no longer kick themselves or admit they played poorly. No, these days they’ll only admit the lopsided score was “bad for the brand.” Clearly it’s not whether you win or lose, that counts, it’s how you affected the business value of the franchise. That’s one thing that rubs me the wrong way about elevating the importance of the brand so high that people will trade in their own identity in order to be packaged-up. The brand isn’t so important as many marketers think. The hyper-valuation of company brand-equity began during the hectic years of the 1980s, shortly before the catastrophic 1987 Wall St collapse. Companies with ailing turnover figures and slack marketshare suddenly realised that despite everything, the brand itself had valuable equity. This is true, to an extent. If you measure something like “consideration” (which brands of new car would you consider?) then brands explain part of the story. They help explain why Toyota might be forgiven the occasional safety recall, or why Skodas may be good cars but will never be even considered by a sizeable chunk of their markets. Not with their East-European legacy. But the accountants and CFOs forgot something along the way. The moment accountants started treating Brands as a tangible asset, things got confusing. You have to treat assets according to certain rules – for example in terms of depreciation, or market value. But the moment a brand gets given a dollar valuation, other questions such as fit or positioning play second fiddle when it comes to boardroom decisions. The only measure that has clout, really, is the bottom line dollar. So the brand, whatever it stood for, can easily get screwed around by financially focused directors. When all you see are dollar signs, then any brand value looks like cash. Reuters in 2010 when reporting the sale of Cadbury to Kraft quoted Felicity Loudon, a fourth-generation member of Cadbury’s founding family. She said she was appalled that the company looked destined to fall to Kraft, predicting jobs would be lost and its chocolate would never taste the same. She has a point, though of course it fell on deaf ears. Four years later, at least in my market, Cadbury product is still being discounted to hell, to undo some of the damage wrought by that sale. King Size block for block – it is routinely a dollar cheaper than its nearest rival. The problem was, the takeover was measured in dollars and not in any other values. This seizure of brand valuation by the CFOs and accountants leads me to my main point.Branding itself has become commoditised. So they talk about things being good for the brand, or bad for the brand, yet they appoint underpowered Brand Managers who prescribe undercooked, old-fashioned brand research that belongs to the 1950s. Good for the brand? Today’s market place, meanwhile, is being liberally peppered by stories of unknown start-ups that have taken on the big brands and are aggressively eating into the stalwart’s marketshare. The sticker-value on the old brands prove poor defense against products with better ideas. If you accept that the concept of branding is under siege – and I’m sure a heap of readers will disagree – then the prescription is to get under the burned skin of branding, and start examining more closely the heart values that dwell below. These days my marketing language is more apt to be enriched with talk about “forgiveness” and “resilience” and other words that refer not to the bottom-line but to the human condition. I also think modern history is on my side. Since 2008 there has been a rapid lift in the conversation about the wealth gap, about poverty, about massive corporate tax evasion, about 3rd world exploitation and about sustainability. In my view the ice is getting mighty thin for organisations that measure shareholder return as if it’s the only thing matters. As I tell the personal branding experts. I am not a brand: I am Spartacus. Big fight, wrong context? Coke unleashes their inner Joe Frazier…into the playground. Coca Cola is using free market tactics in the social sphere. The result: it comes over as a bully. Society has generally maintained quite tidy divisions between different facets of our lives. Politics and Religion seldom mix, and businesses are generally governed by the free market rather than by Government (save for a regulatory framework, and a a tax regime.) These kingdoms of church, business and state operate by quite different methods and rules. But what happens when political lobby groups start targeting business; and do so via those traditional advertising media? That’s the dilemma that Coca-Cola has been in, in Australia. The issue is rubbish and recycling, and environmental groups and lobbyists have been advocating a real clean-up to the way Australia handles plastic rubbish. What they want is to put a deposit price on plastic bottles, for example, so that these are worth something – and won’t be simply thrown away as litter. After all, plastic litter is causing increasing damage to marine life. Coca Cola doesn’t want this and advocates a softer option that does not involve their retail price. So game on. Greenpeace put together this advertisement that names and shames the big red lobbyist. It has had around a million views on YouTube and Greenpeace had plans to run the ad on the major Australian networks. See it for yourself. But none of the networks dared touch the advertisement, and Greenpeace accuse Coke of threatening the networks – using their sizeable ad-spend as leverage. In these days of tighter media budgets, it isn’t easy to plea free speech and watch several million dollars revenue walk out the door. I’ll leave it to you to decide if this is fair practice. Isn’t it just business? 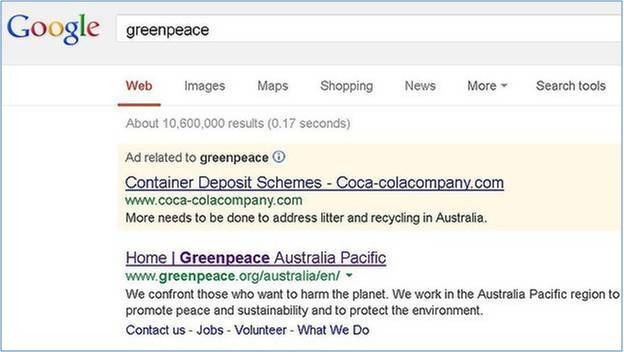 But Coke have gone further – buying (with expensive bids) spots on social media so that every time an Australian looks up Greenpeace , well as you can see in the picture above, an advertised link appears telling the world what a fine option Coca-Colas recycling plan is. To the news media (See this good piece from the Canberra Times) the actions amount to bullying tactics and the question is raised about the role of corporates once they enter the social media. Can they play by the same rules as they do in the mass media? Who owns this space? Have Google and Facebook commoditised all social space and changed the normal rules of conversation? These days one might enter a conversation, via Facebook, and wish to talk to like-minded people about recycling. Now you can’t do that, apparently, without a company demanding to enter your face space and intrude in the conversation. It’s like meeting your friends at the cafeteria but then a Jehovah’s Witness joins the party – and starts handing out tracts. Is it acceptable behaviour? One of the underlying problems is that the different rulebooks that applied to different principalities (church, politics, religion) have gotten blurred because all three kingdoms are claiming legitimate use of the social media. They each play by their own traditional rules – but the result is chaos, friction and conflict. The conviviality of the lunch table has been subverted because others are using it as a platform to do their business. You’ve met with friends, and as if the Jehovah’s witness is not interruption enough, there’s now a sales guy peddling cheap watches, and a political pressure group telling you why we need guns, as well as the loud moron who won’t stop yammering about other stuff altogether. Social space? Political space? Business space? Which is it? While the rules evolve and get negotiated (much as the use of mobile phones soon came loaded with some accepted etiquette of do’s and don’ts) we are going to see some ugly scraps. The GreenPeace – Coca Cola stoush has brought out the ugliest side of the beverage firm, and regardless of their environmental politics, they are now coming over as a corporate bully simply because they are applying the law of the advertising jungle to the domain of social media. They have unleashed their inner Joe Frazier, not in the ring, but in the playground. What planet are they operating on? The lost art of the Apology. Don’t spin it. A feature of life in the age of social media is that one’s mistakes never actually go away. We saw that this week when a widely published 2006 article with the Abercrombie & Fitch CEO was dragged back, seven years later and used to hit that same CEO around the head. Yesterday he issued an apology for making exclusionist remarks in 2006 about trying to target only the cool kidss. 1) A retweet – basically saying “yay – he’s finally apologised.” Very few of these. 2) A criticism that the apology was half-hearted at best, and insincere. A few of these. 3) Ignore the apology. Widespread. In balance you’d have to say that the apology did stuff-all good for the firm. Today there are still masses of protests about the initial remarks and the protest will continue to run on its own momentum for a few more days. It was already slowing down when the apology was published. My first of two questions are this. Why did a public, so heated about the initial comments, not bother to find, read and retweet the apology? The answer i think is that they didn’t want to. The protest was a chance to vent against a brand they don’t like, and they weren’t interested, actually, in any kind of closure. The hatred circuit remains open. The second question: why did the apology gain such a tepid critical response from among those few who reported it? Well, let’s dissect the apology. Here it is: the full statement. The first problem with the apology is the medium. For sure, A&F were getting bagged on Facebook, but this was not where the majority of the conversation was taking place. So the apology was somewhat remote. Metaphorically, no eye contact was made. The distancing gambit. “While I believe this 7 year old, resurrected quote has been taken out of context…” has all the hallmarks of the distancing strategy. Instead of facing up to criticism the public can here the familiar “I was taken out of context…” line used by politicians all too frequently. The subtext: ‘it wasn’t me…don’t blame me.” This is not the gutsy, “okay, I screwed up” mea culpa that people are asking for. Finally he turns up the national anthem and pledges his allegiance to our shared values. “…we care about the broader communities in which we operate and are strongly committed to diversity…” This comes over as insincere simply because he was so blunt in the first place about his target market. Now this blog didn’t set out to attack the CEO. Rather, I wanted a typical exampled of a failed apology. For surely to apologise and be met with 87% utter silence, 10% derision and 3% acceptance (my estimates based on twitter traffic) is not a successful PR move. Rather than cut a firewall through the blazing criticism, the apology has merely thrown a damp sponge at the heart of the fire. In my view it would have been better NOT to apologise if, as it seems, the firm is intractably committed to serving the young, the skinny and the beautiful. But if an apology is on offer – and it wants to assuage the public thirst for blood – then it needs to follow certain rules. Nixon’s grand mistake was his failure to understand that Americans are forgiving, and if he had admitted error early and apologized to the country, he would have escaped. These two quotes sum up the essence of a good credible apology. It should come quickly and be offered without qualification. If you’re sorry, then be sorry – don’t process the apology, don’t spin it, or try and mitigate the thing you did wrong. Every single step that you take to minimise the pain, or distance yourself from it, or to wriggle out of culpability is going to be spotted immediately as insincerity. Here are four things to avoid. Abbreviated Apologies – used in the context of other statements. “I hurt people and I apologise…but I’d like to restate my commitment to seeking the truth.” Blink and you miss these. At the heart of the decision to apologise – or not – is the issue of courage. You either have the courage to do things that offend others (presumably to serve a greater good,) or you have the courage to admit you were wrong. 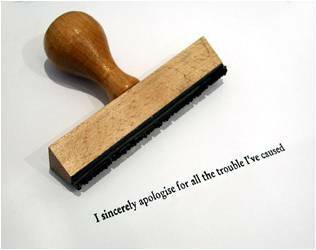 Today’s plethora of half-hearted apologies try to straddle both, and end up failing to do their job. A good apology should simply be honest. Don’t delay it, or spin it. Since the 1990s Abercrombie & Fitch has been a fashion brand that has taken the label from failure (it harks back to 1892 but by the 70s had failed as a company,) to gigantic success with an annual turnover measured now in the billions. At the heart of this story has been a fundamental disconnect between the image of the brand – clean-cut, Mid-Western, Joe College values (exemplified by their use of the Carlson twins as models who showed off their flesh more than they did the actual fashion) – and the aggressive multinational fashion company that uses cheap third world labour to manufacture faux nostalgia (college sweatshirts that you might have rescued from your dad’s top drawer) and then peddle this through a lavish chain of upmarket flagship stores. A&F deliver dreams. They’re not alone in this, far from it, and in many respects they exemplify A+ marketing: tapping into needs and wants and through packaging, price and placement ensuring healthy profits. But the disconnect comes at a price. Reputational Risk. It is one thing to be a brand that, deep down, offers a perfromance benefit. For some reason I’m thinking of Coleman and camping supplies. That company has been dedicated to delivering products that function, and show little details that users appreciate. A fashion label such as A&F simply delivers image. Its product quality is nothing special, it’s designs are derivative rather than original, it’s fabrics – mostly cotton – offer no USP. But the dreams and packaging and catalogues and image – well, they’ve been the reason for the brand’s success. It sells something that is accessible. You too can be part of the A&F movie. One of the gang. But it turns out the gang is less inclusive than it has made out in the advertising. The CEO is quoted as saying that he doesn’t want to sell larger sized items because he doesn’t want fat people wearing his brand. He doesn’t want them in his stores. 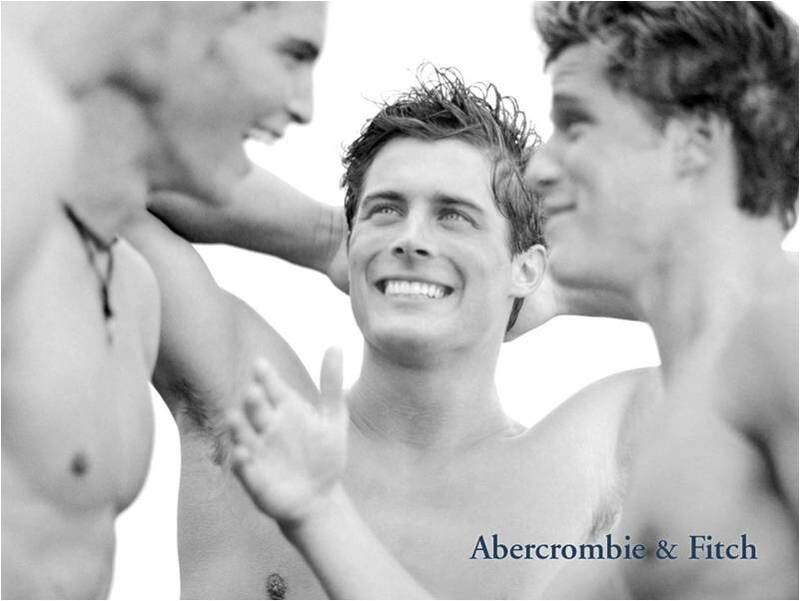 Instead of being genial Joe College, Abercrombie & Fitch is, deep down, the spoilt snob. Suddenly the gap between image and reality is made, in just one quote from the CEO, as plain as day. Here’s what happend. I’m taking this straight from The Drum. An LA-based writer is looking to give Abercrombie & Fitch a ‘brand readjustment’ by asking viewers to donate their A&F clothing to their local homeless shelter, after the CEO of the company suggested he didn’t want ‘unattractive people’ or people over a certain size shopping there. Greg Karber created a YouTube video suggesting that people donate clothes, and send pictures of them doing so to #FitchTheHomeless. The video went live on Monday and has so far almost received a million views. The video caught like wildfire – with more than a million “likes” on Facebook within 48 hours. With the story being widely picked-up in the media this week the twittersphere has become a pile-on of latent A&F hate. The story in itself has resonance, but I suspect the speed at which this reputational wildfire has spread comes from the degree to which the brand has already built up enmity within the public. There are at least 4 solid reputation management lessons to be drawn from the story so far. The wider the gap between your image and your reality, the bigger the reputation risk. Over time every little misstep or poor judgement will aggregate to form a parallel narrative to your official version. Like debris in a forest, it will prove flammable in certain conditions. Every once in a while it pays to cut some clean firebreaks through bold, well intentioned actions that are both credible and meaningful. You may stand FOR something, and FOR your target market. But don’t confuse that with the making statements that put down others. 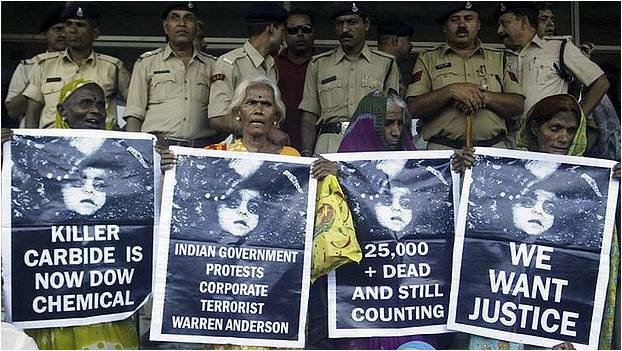 Remember, they are legion and they are armed with social media. For his own part, film maker Greg Karber may face a firestorm of his own. I’m predicting he will on the basis that he has also ignored three of the four rules above. He has not validated his expertise on the subject of ethics – and judging by his whining, even sarcastic tone in the video – he seems more personally aggrieved than truly concerned with business ethics. I might be wrong there, but he leaves room for doubt. But already there has been growing criticism of his use of homeless people as mere props in his production. Never once does he seek their opinion, or lend them much dignity either. His message: since A&F hates the uncool – I’ll use the uncool to highlight the fact. In so doing he’s just as guilty of snobbery as is his target. There’s a fifth lesson in reputation management that karber should heed. Most reputational damage is self inflicted. Don’t we know who he is? Aaron Gilmore wore a name tag just in case. Media in my country, NZ, have been having a field day with the story of MP Aaron Gilmore who is a lowly ranked politician yet, apparently, quite puffed up in terms of his ego. He has popularised a saying “Do you know who I am? ?” to the point that I’d bet good money that it will appear on a t-shirt before the end of the month. In this case he used the phrase when shouting at a waiter who had wisely refused to serve the MP any more alcohol. Gilmore threatened to have the waiter sacked, and stated more or less that all he had to do was call the Prime Minister’s office and make it happen. In embarrassment Gilmore’s own friends marked the occasion by leaving the restaurant or, in the case of a lawyer friend, apologising to the restaurant. It was on Twitter rather than in person. It tried to frame the rowdy behaviour as coming from his group – rather than from himself. Eye witnesses said there was only one loudmouth in the room. In other words not an apology at all. It incensed the lawyer friend enough that he went to the media with the story. On the scale of things, Gilmore’s vile behaviour (he later admitted that he’d had one and a half bottles of wine) is small potatoes. The man has been shamed to the point that he’s closed his FB and Twitter accounts, and for the rest of us, the world will keep on spinning. For me the interesting thing is why these small stories – of stars and leaders – seem to be such rich targets for the public conversation. Why do they become trending topics when they are really so small? The answer can be explained by the great American sociologist Robert Merton who caused a stir in the early 1950s when he suggested that criminals, while not to be encouraged, actually do society a favour by acting out a passion play in which sin is duly found out and punished. These dramas get tut-tutted by the community and help us affirm acceptable versus unacceptable behaviours. This is part of the dynamics surrounding reputation. Reputation isn’t just about what people do, but about their motivations for taking their actions. We’ll accept that somebody might get drunk at a restaurant – it is hardly newsworthy. But it does become newsworthy when that person is an MP and he puts his venal pride on display. Did Gilmore in his intoxicated state reveal his deep sense of humanity? We expect of MPs at least a show of public service. Gilmore didn’t bother with that – he simply demonstrated through words and actions what a jumped-up, self-interested prat he could be. Now it takes more than Gilmore’s actions to get into the headlines. What gave the story traction was the public’s underlying concern that all MPs might be like this. In other words the Aaron Gilmore story was just the proof we were already looking for. His actions fitted like a glove with our worst fears. I keep returning to this lesson. Reputation depends on three things. What you do. What your real motivations are – are they good and true? Are your motivations in sync with the public agenda. Aaron Gilmore (“regalia moron” said one acronym posted on Twitter) did us all a favour. He kept alive our latent cynicism, and his boorish behaviour will ensure that from now on, we’ll all know who he is. Ethical test. Where do you stand? Today I came across this TVC which has had a quarter million hits. It is a German production – and the headline on the newspaper means something like Fugitive. Clever stunt? Or does it cross the line? Press this link to go to recent TVC – ethical or simply clever? Ethics committee to Meeting Room One please, the ethics committee to Meeting Room One. Press this link to go to recent TVC – ethical or simply clever? Free markets versus slightly controlled markets. Pt 1 of a 3 part Blog. Somewhere in that decade, 30 years ago, there became an acceptance that we should stop having complex moral debates about money (Greed is Good! said the Gekko characterter, in a satire of this thinking) and simply let the market decide. There’s a lot going for this idea. For one thing, it is a lot simpler. I remember years ago being an a political meeting – a meet the candidates evening – when somebody in the audience asked a candidate: “where do you stand regarding abortion?” The audience erupted into booing – not because we thought the issue didn’t matter, but because we knew that no meeting was going to resolve this issue. We’d break into two predictable camps, there’s be rancorous arguments and none of us would move a step forward. Who needs it? So too, it would seem, when it comes to debates about greed, or about fairness. In the 1980s our societies bought into the idea that money is amoral, and the the free market is a fair, democratic arbiter in the marketplace of ideas. So the political arena became less a debating chamber in which issues of conscience were discussed as a board of directors in which the costs and budgets were evaluated. Where once the death penalty was discussed in moral terms, soon it became debated in terms of the relative cost of lifetime incarceration. At the same time, the intellectual landscape of ideas became increasingly monetised. It was only in the 1980s that the valuation of companies incorporated an estimate of a brand’s value. So today we get extreme valuations on companies that may perform quite dismally in terms of pure turnover or productivity. Remember how the merger of Warner and AOL resulted in a hyper-valuation – and the value of the company rose on the hot air of the marketing deciding…to beat the true gravity of the merged company’s actual performance. The lack of perfection of the free market – due to hysterias, clumsy mechanisms, misinformation (even in an age of instant media) and poor management (all those banks that made risky, sub-prime lending so fashionable) – gives us plenty of reason to allow that sometimes, sometimes, the public needs to step in and – for the greater good – override the free market. So if we need some intervention, and some slight control of the market, we are accepting that sometimes the public good still trumps the absolute free market. By how much? Where does one draw the line? That’s going to be a theme of my next few blogs.